And now for some heartwarming news out of Florida, the hashtag that is a state. 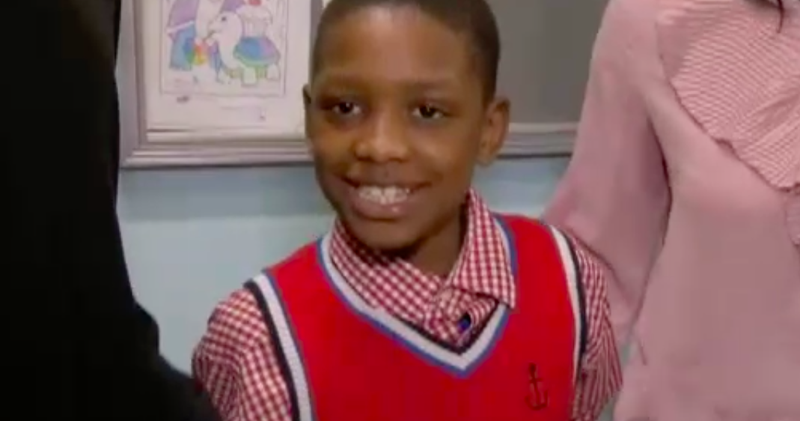 An 8-year-old boy is being credited with saving his brother and sister from life-threatening sickle cell disease. When 22-year-old Kingsley Aihe and 13-year-old Vanessa Aihe needed a bone marrow transplant to treat their sickle cell, doctors were amazed to learn that their baby brother, Stefan, was a match for both of them. “It’s kind of a bit of a miracle, in my opinion,” said Kingsley, who is cured after receiving Stefan’s bone marrow in November. Vanessa is also cured, WESH reports, after receiving bone marrow from Stefan a few years ago. Sickle cell is an inherited illness often marked by excruciating pain because of the decrease in the flow of blood and oxygen through the body caused by the irregularly shaped red blood cells by which the disease is characterized. Sickle cell can be deadly, causing strokes, shortness of breath, organ damage and blindness. In the United States, the illness most often impacts black people. Donations of bone marrow can be a treatment or even a cure for sickle cell, and the Aihes said they wanted to encourage people to register to be donors. Registries like Be the Match, operated by the National Marrow Donor Program, is one way.